Get briefed on the geopolitical issues and events that will make headlines in the week ahead. 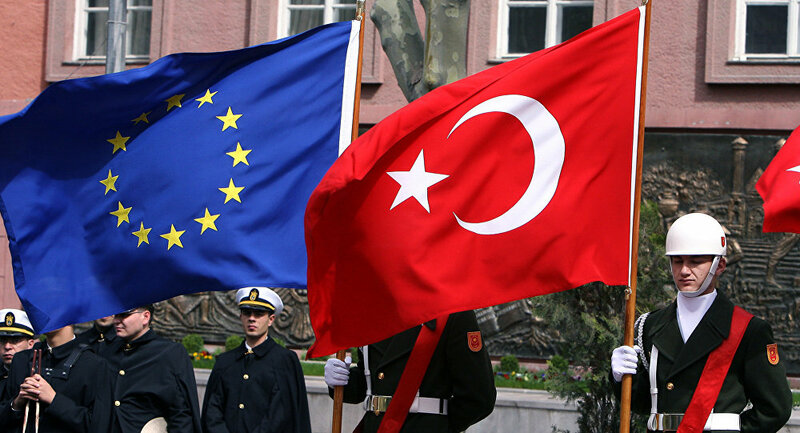 Relations between the European Union and Turkey will be at the top of the agenda when the bloc’s Foreign Affairs Council meets on Monday, and make headlines on Tuesday, when German Foreign Minister Frank-Walter Steinmeier visits Ankara. The flurry of diplomatic activity comes amid President Erdogan’s increasing authoritarianism. On November 4, authorities detained 11 MPs belonging to the HDP, a pro-Kurdish political party, over a terrorism investigation. While they were promptly released, the move drew criticism from Western leaders – the head of the European Parliament said the actions “call into question the basis for the sustainable relationship”. 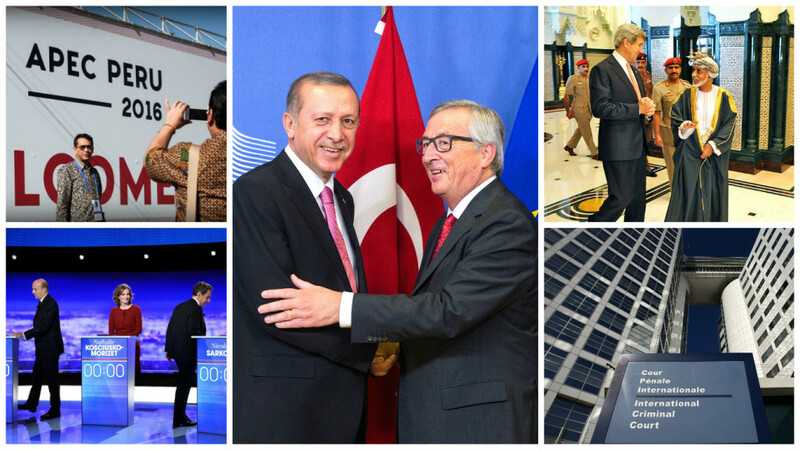 However, the EU relies on a deal with Turkey to stem the flow of migrants from the Middle East, meaning Brussels is limited in the measures it can take to pressure Erdogan to end the clampdown. With elections in the Netherlands, France and Germany taking place in the next year, controlling migration is critical to halting the rise of right-wing populists. Worryingly, President Erdogan and his cadres have repeatedly threatened to renege on the agreement. While European leaders may tout Turkey’s human rights abuses in public, behind closed doors conversations are likely to be far more pragmatic. In his visit on Tuesday, Steinmeier will attempt to soothe inflamed tensions with Ankara and address the delay in implementing visa-free travel for Turks in the EU, a key component of the migrant deal. 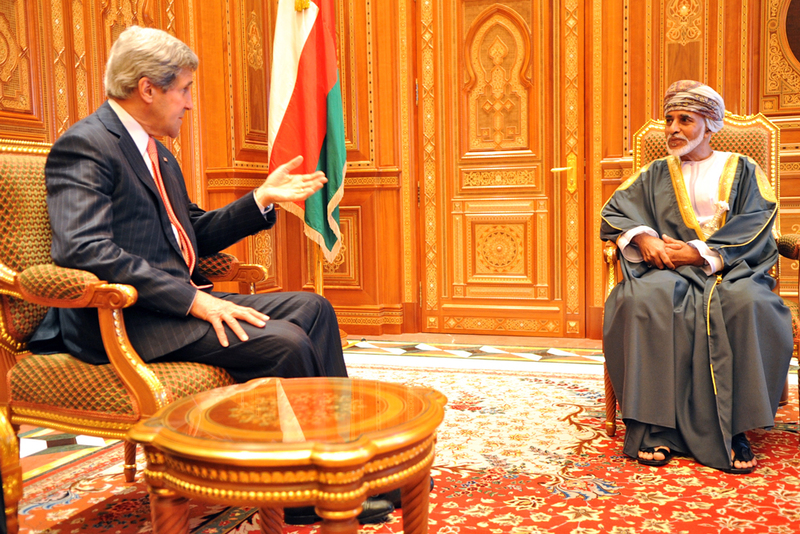 On Monday, US Secretary of State John Kerry will fly to Oman to hold talks with Sultan Qaboos and will head to the UAE to the following day. Discussions are expected to focus on regional tensions and finding a way to resolve the war in Yemen. Last month reports emerged that Oman would host a renewed effort to find a peaceful settlement to the Yemeni conflict. Similar peace talks hosted by the Kuwaiti government collapsed in August after anti-government Houthi rebels established a governing body with the former president, Ali Abdullah Saleh. Having maintained strong ties with Tehran, Oman has proven to be an important interlocutor between Sunni Gulf monarchies and Iran. Saudi Arabia accuses Iran of supporting the Houthis and other anti-government rebels in Yemen in an attempt to foment unrest along the Kingdom’s southern border. Riyadh has responded by launching an offensive against rebels in an attempt to support the internationally recognised president, Abed Rabbo Mansour Hadi. Mr Hadi is supportive of plans to restart peace talks with the goal of establishing a unity government. However, the Houthi’s are unlikely to agree to such terms given their dominance in most of the country. If the US can convince both the Saudis and the Iranians to stop supporting the opposing sides, President Obama may be able to leave office with one less conflict raging in the Middle East. 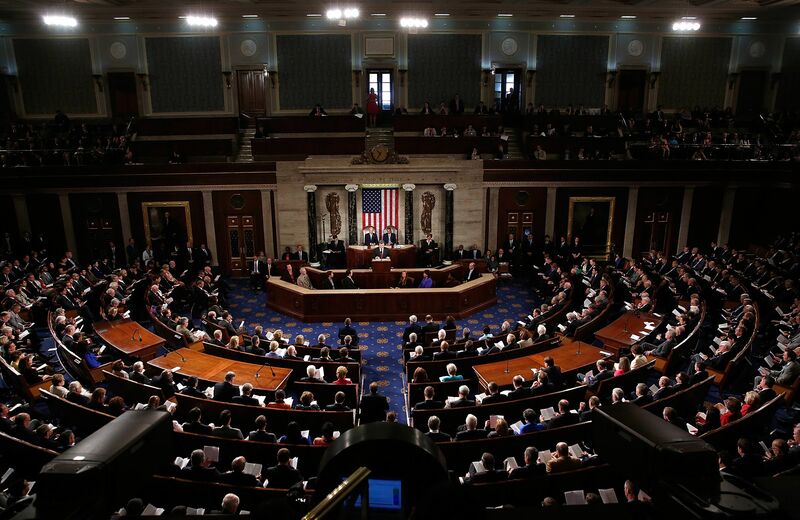 The US Congress is expected to vote on whether to renew the Iran Sanctions Act, therefore extending current sanctions on Iran by ten years. While the maintenance of the sanctions contained in the legislation does not violate any of the provisions agreed to in the Iran nuclear deal signed last year, Democrats in the Senate are expected to fight its renewal. The White House has asked Congress to hold off on the renewal. However, the Republican chair of the House Foreign Affairs Committee, Ed Royce, is expected to introduce the bill sometime in the next week. Republicans oppose the Iran nuclear deal, saying the Obama administration gave Tehran too many concessions. President-elect Donald Trump has pledged to tear up the deal when he ascends to the presidency on January 20. In the meantime, foreign investment is beginning to trickle into Iran with French oil giant Total and China National Petroleum signing a $4.8 billion contract to develop natural gas in the waters of the Gulf. The deal is the first of its kind since sanctions were lifted in January of this year. Even if President Trump reneges on the Iran nuclear deal, it seems very unlikely that other world powers – particularly China and Russia – will follow suit, thus undermining any reimposed sanctions. On Tuesday, Peru will play host to a number of discussions among leaders of the Asia-Pacific Economic Cooperation (APEC) forum, alongside some critical bilateral and multilateral meetings. President Obama is expected to meet leaders of the eleven signatory countries of the Trans-Pacific Partnership (TPP) free trade deal. Earlier this week, the Obama administration confirmed that the congressional vote on accepting the TPP would not proceed before the president’s departure in January 2017. Given President-elect Trump’s anti-free trade agend, the future of the TPP appears increasingly unlikely. However, Japanese Prime Minister Shinzo Abe will be stopping in New York to meet with Trump before the APEC summit in attempts to salvage the pact. Canadian Prime Minister Justin Trudeau will pay a visit to Cuba and Argentina ahead of the summit. Canada and Cuba have enjoyed 71 years of uninterrupted diplomatic ties, in contrast to Cuba’s rocky relationship with the United States. The state visits are expected to strengthen existing partnerships, including the pursuit of sustainable economic growth, security, and climate change. Russia has also extended an invitation to the White House for their respective leaders to meet on the sidelines of the summit in Peru. It is expected that this conversation will focus on the upcoming transition in US administration. South Korean President Park Geun-hye will be notably absent from the APEC summit due to domestic turmoil over the controversial influence of her friend Choi Soon-sil. 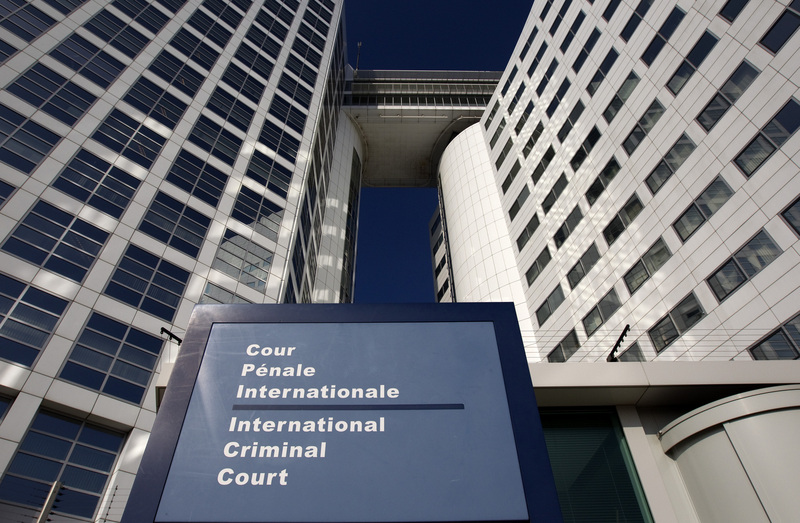 State signatories of the International Criminal Court will hold the annual eight-day Assembly of State Parties in The Hague starting on Wednesday. Reserved for states to discuss serious challenges to the ICC’s mandate and operations, the Assembly will focus in October and Gambia’s indication of intention to do the same. The three countries have indicated their frustration with what they perceive as the ICC’s over-reaching prosecutions in ongoing armed conflicts, which have compromised dispute resolution efforts already underway. In particular, the African Union agreed in 2013 to grant immunity to heads of state during their terms of office to offset fears of the ICC orchestrating regime change through its mandate. South Africa has argued that the ICC’s request for the extradition of Sudanese President Omar al-Bashir during a state visit in June 2015 is inconsistent with this agreement. In January 2016 the African Union went further, by confirming it would explore collective withdrawal. Many African nations including Burkina Faso, Cape Verde, the Ivory Coast, Nigeria, Senegal, and Tunisia came out expressly against collective withdrawal at the June 2016 summit. However, Uganda, Chad, Kenya and Namibia are reported to be considering withdrawal. The upcoming ICC Assembly of State Parties will be crucial to enacting policy and structural changes to retain the integrity of the court. As only one non-African nation has been the subject of formal investigations in the ICC’s history, the Assembly may consider expediting the existing preliminary prosecutions in non-African nations to reduce the appearance of bias. However, the Rome Statute ignores immunity of sitting officials, as requested by the African Union. The ICC’s unwillingness to compromise on this core tenet may prove a sticking point for African nations looking to leave. France’s centre-right Republican Party will hold two rounds of primary elections to select its 2017 presidential candidate, with the first scheduled for November 20. If none of the seven candidates secures more than 50 per cent of the vote on Sunday, the two top contestants will proceed to a runoff a week later. All French registered voters will be eligible to vote. Former Prime Minister and Foreign Minister, Alain Juppe, is currently leading in the polls at 37 per cent. However, his lead over rival and former president, Nicholas Sarkozy, was halved in October. 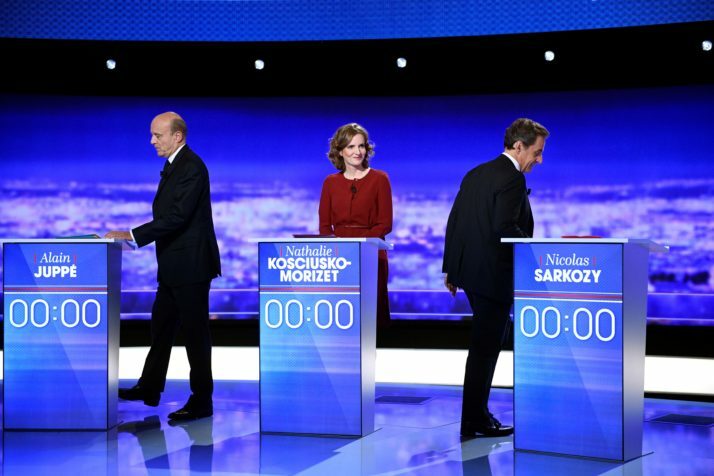 Televised debates have shown the candidates varying only slightly in their policies, basing the bulk of their campaigns on criticising incumbent Socialist President Francois Hollande and far-right presidential hopeful Marine Le Pen. Polls indicate that Le Pen’s anti-Europe, anti-immigration National Front will come out on top after the first round of the presidential elections – expected to be held sometime in April or May – although is expected to be bested by a more moderate Republican candidate in the second round. To stave off Le Pen, liberal voters are likely to vote in favour of Juppe in the case of his victory but are unlikely to rally behind another Sarkozy bid.